Despite steady advances in ground-based astronomy, the Hubble Space Telescope, with its famously flawed mirror, its equally famed redemption and more than two decades as an icon of world-class science, is more productive today than at any point in its history, scientists say. Despite 23 years in the harsh environment of space, Hubble still stands at the forefront of optical astronomy, thanks to a string of dramatic shuttle servicing missions and a hard-earned understanding of the observatory's quirks and idiosyncrasies. During the last shuttle visit in 2009, two new instruments were installed and two others were repaired by spacewalking astronauts. The shuttle crew also installed a full set of gyroscopes, new batteries and a refurbished fine guidance sensor to help the observatory find and lock onto its targets. While no one knows how long Hubble will remain scientifically productive -- and with the shuttle's retirement, there is no way to carry out any future repairs -- the observatory currently is working in near flawless fashion. Mission managers are hopeful the telescope will remain scientifically viable through the end of the decade, if not longer. "I think we can argue, reliably, that it's the most scientifically productive observatory of any kind, ever, in history," said Ken Sembach, head of Hubble operations at the Space Telescope Science Institute at Johns Hopkins University in Baltimore. "We're now at about 11,300 papers published in scientific journals based on Hubble data and there are nearly a half million citations of those papers. So it's a huge piece of the scientific literature and a huge reference for future work in astronomy." To use a different metric, Sembach said research based on Hubble data results in "essentially a new Ph.D. every 10 days." Yet another way of assessing Hubble's value to the astronomical community is to consider the number of proposals received for each new observing cycle. 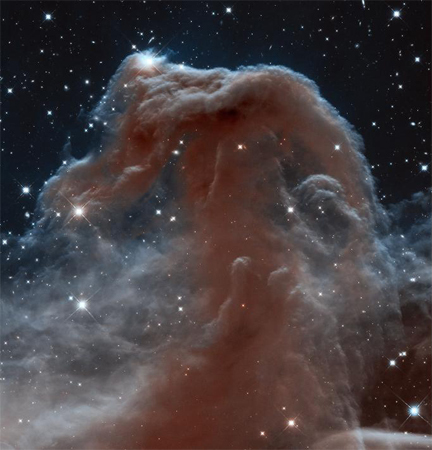 The latest batch included nearly 1,100 requests for Hubble observing time. "We can typically honor maybe 180 or 200, so the over-subscription is at least five- or six-to-one in terms of proposals and it's more than that in terms of time," he said. "We typically have about 20,000 orbits requested and typically only about 3,000 or 3,500 to give out." Despite Hubble's age and the advent of ever more powerful ground-based instruments, "people are even more keen on using the observatory now because as I like to say, the observatory's in better shape than it's ever been," Sembach said. "People are doing things we didn't even think about and hadn't had a chance to consider" when Hubble was launched in 1990. Since the final servicing mission, Hubble has been used to carry out full slate of observations, studying everything from nearby asteroids, comets and planets in Earth's solar system to targets in the depths of space dating back to a few hundred million years after the big bang. Three complex multi-cycle "treasury" programs also are being carried out. In one, Hubble is mapping about a third of the stars in the nearby Andromeda galaxy to "see what its stellar population looks like and be able to understand what all the stars are doing." 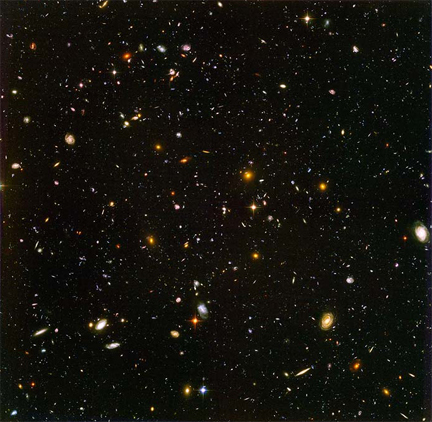 In another, Hubble is capturing wider field views to complement earlier "deep field" images that captured light from galaxies forming within 450 million years or so of the big bang. The new images show "galaxies forming over essentially the full age of the universe," Sembach said. "That's giving new insights into the formation of black holes, the distribution of galactic nuclei, the formation of galaxies, the structure of galaxies, how galaxies merge as a function of time." In a third treasury project, Hubble is focusing on massive galactic clusters whose gravity warps and magnifies the light from extremely remote galaxies on the far side. "These clusters have lots of dark matter in them and they form a gravitational lens that then amplifies and distorts the light from galaxies that lie beyond them," Sembach said. "The distortions of those background galaxies tell us what that dark matter distribution is within the galaxy clusters, the intervening cluster." It also provides key insights into the nature of the background galaxies. "That's where some of the most distant galaxies we've seen have popped up, because it isn't just that the light gets distorted, it also gets amplified," Sembach said. 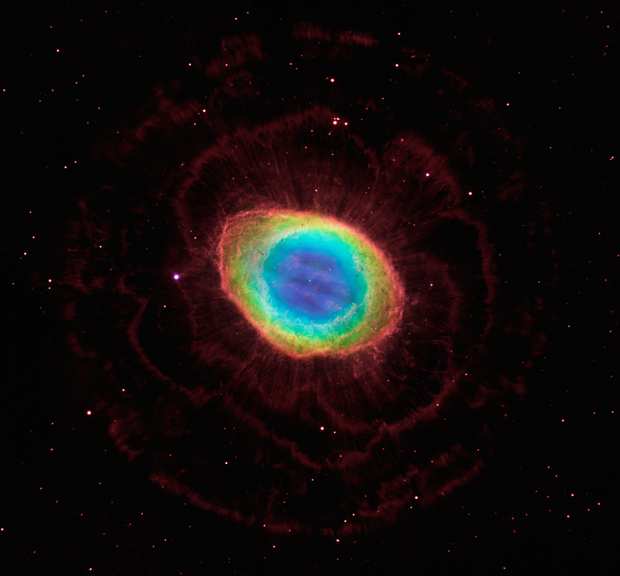 "So galaxies you might not have seen otherwise suddenly get magnified and brought into view. It's incredible." Later this year, Hubble will begin another major project, simultaneously shooting deep field images with one camera while capturing the light from gravitational lenses around massive galaxy clusters with another. The resulting images will be known as "Frontier Fields." "We're doing up to six pairs of these over the next three years," Sembach said. "Those new Frontier Fields will, in fact, provide the very deepest views of the universe we've ever seen with Hubble. NASA plans to launch Hubble's replacement, the $8.8 billion James Webb Space Telescope, in 2018. Based on its current performance, Hubble is expected to remain operational through 2019 or 2020, if not longer, providing an overlap with JWST. Astronomers are eager to compare Hubble's visible-light images with the James Webb's infrared views of stars and galaxies that formed shortly after the birth of the cosmos. "Being able to provide an exquisite optical view to complement that infrared view that JWST has will make that early science coming back from JWST all that much more valuable," Sembach said. NASA currently spends about $96 million a year to operate Hubble. About a third of that funds grants across the astronomical community. That works out to less than one half of 1 percent of NASA's annual budget, Sembach said. "So it's about $65 million, something like that, to actually run the observatory," he said. "Which is a pretty darn good deal."